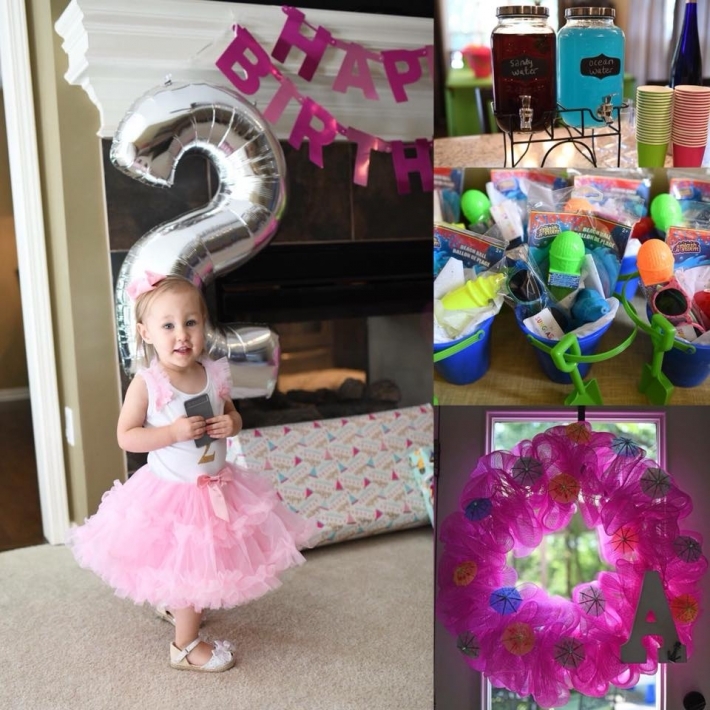 Abrielle is two! I thought her first birthday party was exhausting to plan, but I may have put even more effort into her 2nd party! She absolutely loves the beach and splashing in water. She’s even been to Florida twice already! 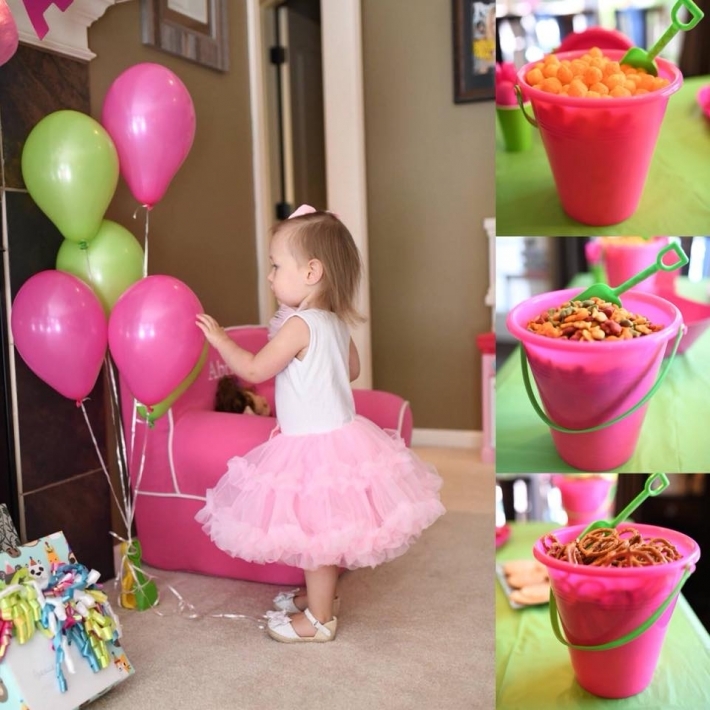 So of course I wanted her 2nd birthday themed as a beach bash. Everyone remained dry for the first half of the party – then we had a swimsuit change for the kiddos. They flew down a slip and slide, played inflatable bowling and lounged in a splash pad or pool. I had so much fun planning all the details and it was worth all the effort. Again, I have to also give a HUGE thank you to my dear friend Brie. 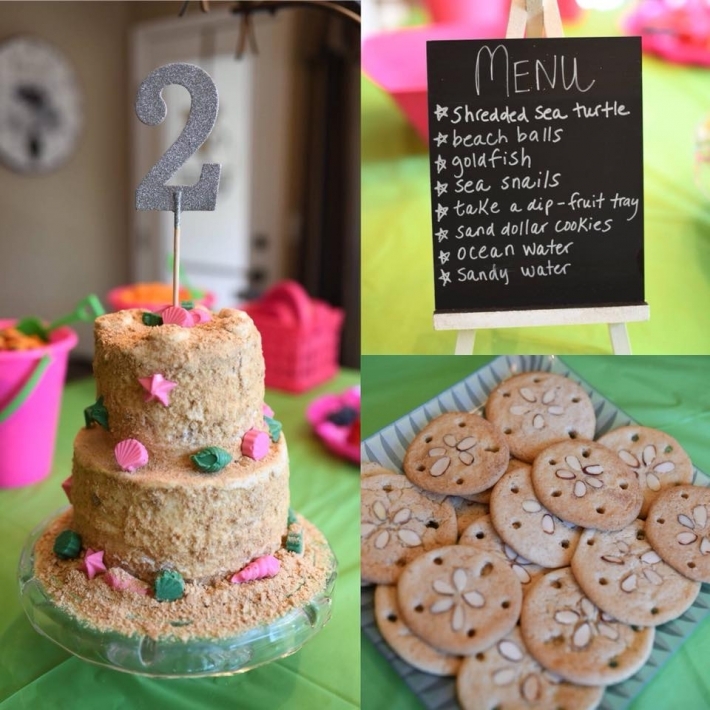 She created the most amazing custom sand castle cake complete with edible shells. My husband and I channeled our own creativity making sand dollar cookies. From the sand pails holding snacks to the beach-themed menu names, it all came together beautifully.